Christopher Marlowe Research Papers go into the life of this author and his studies in latin and neoclassical literature. One of the great authors of the 16th Century is Christopher Marlow. Research papers on Marlowe from Paper Masters discuss his works and his life. 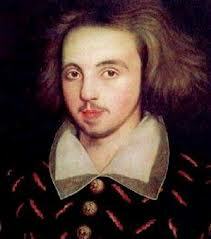 Paper Masters can write on any aspect of Christopher Marlowe you need for your own research paper. Leather craftsmen and shoemakers provided the heritage which Christopher Marlowe’s father John hoped to pass down to him as father did for son in that day. Christopher Marlowe had been born in 1564 to the Canterbury family. He attended school for two years at the King’s School in Cambridge, leaving quizzical attendance records, noted by scholarship payments made to him. There he was to master Latin, and study neoclassical literature. During Marlowe’s time in Cambridge, he developed sundry relationships with both peers, governmental activists and scholars. These relationships all played parts in the daily drama of his brief life. One such person was Thomas Watson, an Oxford-educated poet and translator, who was party to an 1589 row in which Marlowe and another man named William Bradley had engaged in. This incident ended with Bradley’s death at the direct hand of Watson, and the subsequent suspicion and clearance of Marlowe (one of many such incidents which would follow in Marlowe’s short life). Another person of high impact in Marlowe’s life was Thomas Kyd, with whom Marlowe shared either living quarters or a sort of office. Kyd’s arrest and imprisonment due to a heretical manuscript ended their relationship because Kid held that the manuscript was Marlowe’s rather than his own. “Suffering and destruction brought on by the character's own action or perversity is at work in one degree or another in the fates of Barabas, Guise, Edward, Mortimer, and Faustus, affording one major means of making their suffering intelligible”. Marlowe’s life of only twenty-nine years sadly personified those very human natures that he so eloquently dramatized in his writings; human desire and passion frequently reaps destruction. That he was able within such a short time to exhibit such an array of techniques, attitudes and violence in less than a dozen plays and a few poems makes us question what he would have been capable of had he lived even another ten years! William Shakespeare Biography - The earliest Shakespeare writing owes a debt to Christopher Marlowe, whose writing influenced the writer. Shakespeare's Sonnets - Some have speculated that the character might have been made to resemble George Chapman or Christopher Marlowe. Italian Renaissance - Italian Renaissance Essays examine the rebirth of learning that lead to revolutions in literature, art and science, lasting from the 14th century until the 16th Century. Biography of William Shakespeare - Biography research papers on William Shakespeare begin with noting that William Shakespeare (1564-1616) was a great English playwright. William Shakespeare's Monologues - Shakespearean monologues are both brilliant poetry and fascinating character studies from the master playwright of the English language. English Renaissance - English Renaissance research papers explain the English Renaissance was part of wondrous developments inspired by poets, playwrights and authors. William Shakespeare - William Shakespeare (1564-1616) is often named the greatest dramatist of the English language. Shakespeare's Plays - He is, after all, the most studied dramatist in the English language. It is doubtful that any one would even venture a good argument against it. Paper Masters writes custom research papers on Christopher Marlowe and go into the life of this author and his studies in latin and neoclassical literature.